In the festival, things that “Mikoshi” (portable shrine) wrapped in rough heat such as “Tsukiawase” (Matching), “Suriawase” (Rubbing), “Yosekatsugi” (Carrying) are called “fight festival”. 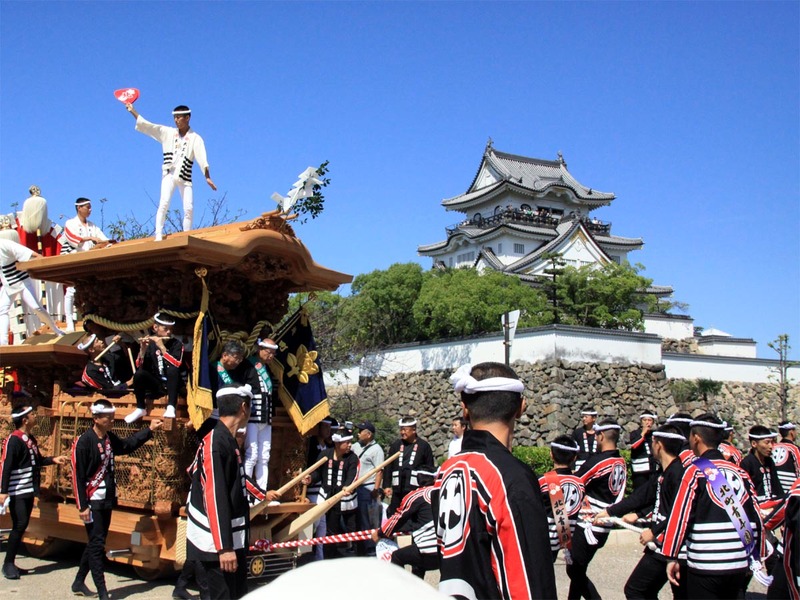 As for the fighting festival, of course, the famous “Kakunodate-matsuri Festival float parade” to be held in September in Akita Prefecture, “Iizaka Fight Festival” to be held in Iizaka, Fukushima Prefecture in October is of course famous, but the “Danjiri Festival” to be held in Osaka Kishiwada district is the best with its vigorous quality. It is the best highlight that dashi (float) and yatai (festival float) change their direction at a corner in festivals throughout the country, with dashi and yatai as the center of the festival. For example, the Gion Festival in Kyoto will perform “Tsuji-mawashi” (a shift of direction) which puts cracked bamboo and slides under the wheel. 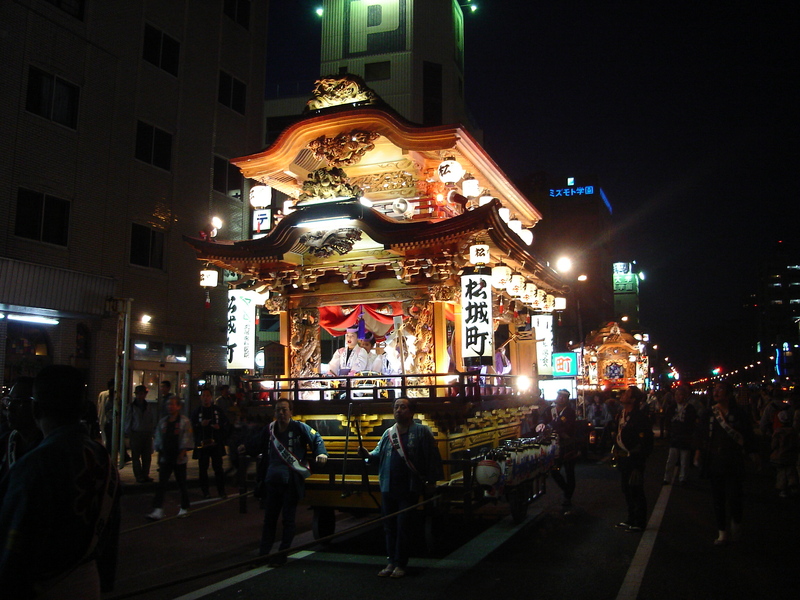 In addition, Dashi of Hida Takayama Festival uses the fifth wheel “Modoshi-guruma” to turn the corner. However, danjiri (festival float) in Kishiwada does not turn around at a corner like other Dashi, but instead turns at right angles while running with vigor. Although it seems to be easy, it is not easy to operate while running with a festival float exceeding 4 tons in weight. During the two days of the festival, danjiri runs around the defined drawing route for many laps and laps, and then performs “Yarimawashi” (changing the direction of danjiri at the corner) for each corner. 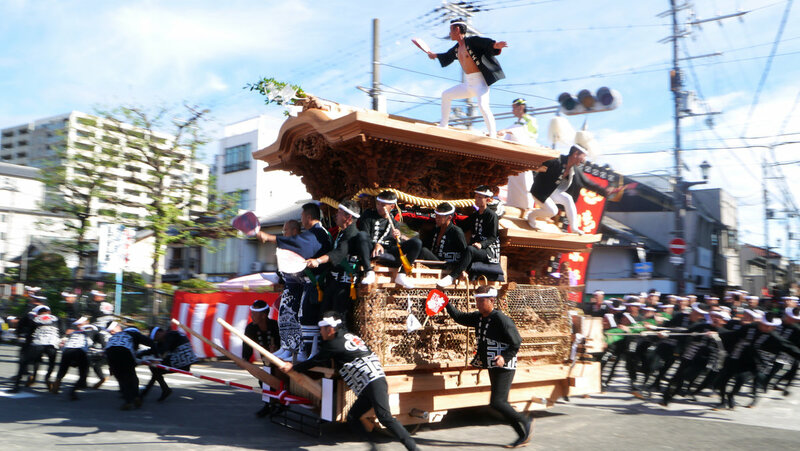 There is nothing that exceeds Danjiri Festival of Kishiwada in its power and speed. The Danjiri Festival at Kishiwada City, Osaka known as its heroicness. It is held on the day before of “Respect‐for‐the‐Aged Day” (3rd Monday of September) and the two days before of it, and more than 400,000 people visit there every year. Danjiri refers to a float dedicated to the deity in a festival. 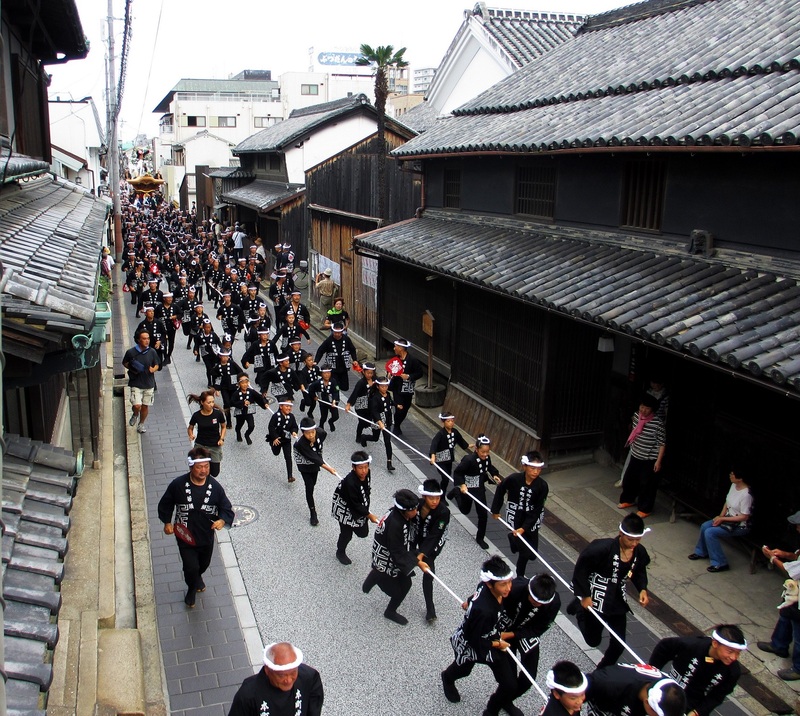 The beginning the Danjiri Festival of Kishiwada is approximately 300 years ago. It is said that the origin of it is an event to pray for a huge harvest by Kishiwada feudal lord at that time. It is held twice on September and October. Kishiwada-city is divided in some districts. The festival is performed in the hilly section in September, and the shore section in October. Both of which section collectively called The Kishiwada Danjiri Festival. It is a wild festival as the festival-car run about in the city. A point worthy of this festival is changing the direction of danjiri at the corner called ‘yarimawashi.’ The style of its performance is daring such as changing direction of several tons of the Danjiri in a right angle. You can feel the aura of ‘yarimawashi’ that matching power with mind, and showing the traditional skill and courage by more than 200 players of pulling floating-car.